Mark your calendar, sound the bugles and herald the dawn of a new era, my good friends. The angels at Kali have announced D-Day for the newest version of the world’s ultimate Linux penetration testing distribution. Folks, the spanking new Kali Linux 2.0 will debut on August 11, 2015. How many of you remember that the first version of Kali was born on May 26, 2006 (was that Backtrack 1.0?). 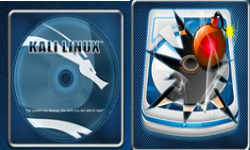 Kali Linux, as we now know it, first appeared on March 13, 2013. So what should we expect from Kali Linux 2.0?